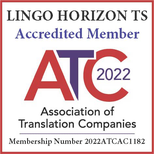 At Lingo Horizon TS, we are specialist and experienced in providing high quality Arabic to English and English to Arabic translation services at very competitive rates, right from London to anywhere in the world. Our Arabic translation services are performed by professional and qualified native Arabic and English translators working exclusively within their areas of expertise. We provide extensive professional English to Arabic and Arabic to English translation services to businesses and individuals, and for all types of contents and documents. We work with all Arabic dialects (Classic Arabic, Saudi, Gulf, Iraqi, Egyptian, Tunisian, Algerian, Moroccan and Modern Standard). Our Arabic translation services, with the help of our team of experienced translators, cover almost all industries and sectors. We offer extensive range of translation services; Legal translation, Technical translation, Certified translation, Document translation and Website translation. Get a free Quote Now! We provide professional certified Arabic translation services for all types of legal, immigration, academic and business documents for official use in the UK. Certified translation is usually required by the Home Office (in immigration or citizenship cases), NARIC, courts, educational institutions and other organisations. If you are based in the UK or anywhere in the world and need professional Arabic certified translation service, then we can help! For more details, please visit our certified translation page. - We cover all industries. - Native Arabic and English translators. - Straightforward and hassle-free procedures. If you are looking for reliable Arabic translation services, then contact us today or click here for a Free Quote!